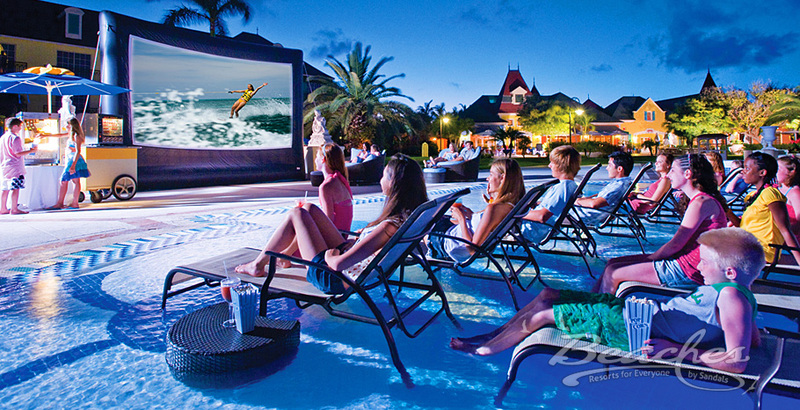 Experience the wonder of Beaches Resorts, where everyone, at every age, is spoiled with the vacation of their dreams. With sweeping lawns and towering coconut palms, lush gardens full of tropical bloom and picturesque oceanfront locations, each Beaches Resort embraces the sublime beauty and tranquility of the Caribbean. Where all-inclusive adventure and excitement give kids the freedom to have a holiday of their own, and parents the luxury to relax and enjoy too. Yet, it’s the precious moments when the entire family comes together, when time stands still and every minute is embraced, that will linger in your heart forever. There truly is something for everyone and that’s because we designed our Beaches Resorts for everyone, from families, to honeymooners to friends looking for a great vacation. 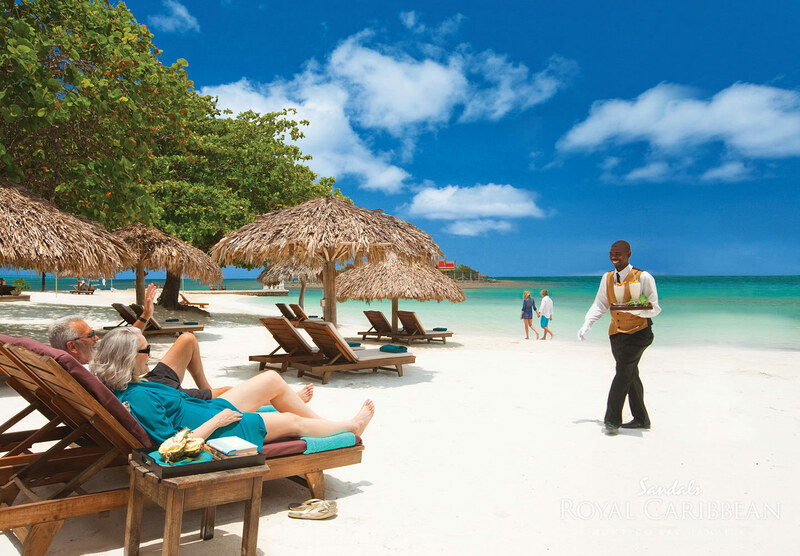 Come to beaches and let the salty air and sunshine fill your senses as you relish the luxury of the islands. The only Resort in the Caribbean that includes infant care and accredited nannies during your stay, every day, all-inclusive. Round trip transportation from the airport to the resort. All maid, bellman and bar/restaurant staff gratuities. 24/7 food and drink availability, to include up to 20 restaurants per resort and up to 9 bars per resort; all liquor is premium brands and Mondavi is the house wine offered. Check with our travel specialist for Lobster season at Resorts. Scuba diving – Certified divers will receive 2- 1 tank dives or 1-2 tank dive daily. Lessons are available for a fee. 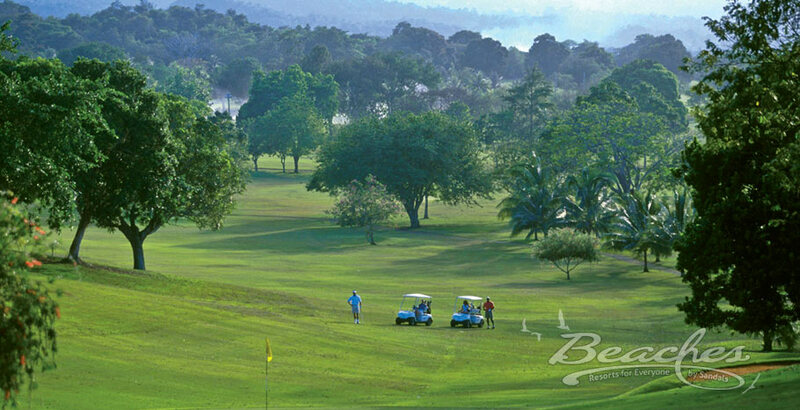 Golf – Complimentary greens fees and roundtrip transfers to the course in Jamaica and St. Lucia; caddie fees may apply. 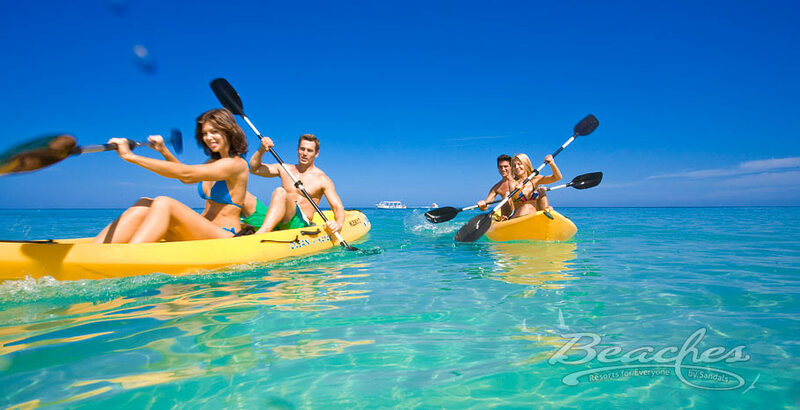 Unlimited use of water sports to include waterskiing, wakeboarding, tubing, kayaking, hobie cat sailing, paddle boarding, windsurfing, glass-bottom boats, aqua trikes, and scuba diving. Unlimited use of land sports to include tennis, indoor game rooms, billiards, darts, racquetball, squash, table tennis, board games, volleyball, basketball, bocce ball, shuffleboard, croquet, rock climbing, beach volleyball, lawn chess, horseshoes, and golf. 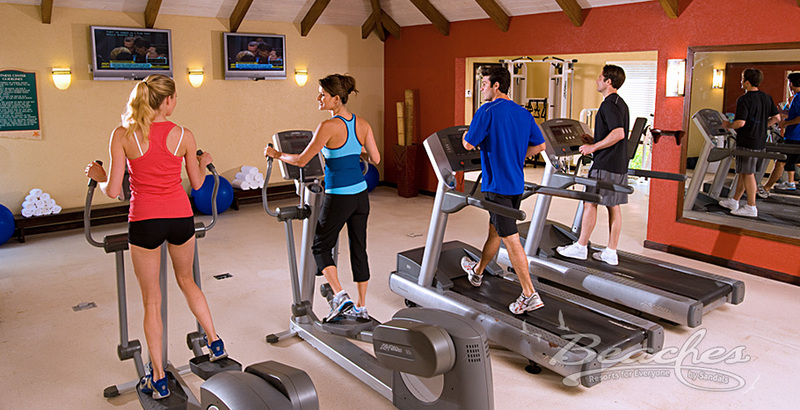 Use of Fitness Center – includes use of the top of line life fitness equipment and fitness classes such as yoga, Pilates, morning power walk, etc. 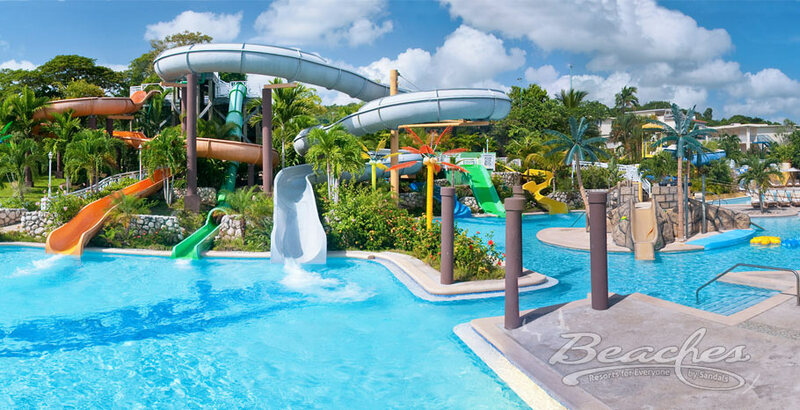 Get ready to have a blast at Pirate Island, the most totally thrilling, awe-inspiring waterparks in the Caribbean! This is the kind of adrenaline-inducing adventure kids of all ages dream about – fast flying, speed-swirling slides, the islands highest slide named SkySlde, the Surf Stream surf simulator, float along a long meandering lazy river that winds through acres of tropical greenery or swing from the ropes of a pirate ship only to discover water cannons and cranks, pop-up jets, spraying geysers and waterfalls! It is sun-up to sun-down fun all-included in your vacation. At Beaches teens have the ultimate freedom to do their own thing. Chill out at the Beach Shack – literally on the beach – where tagalong kid brothers and no one over 21 is ever allowed. Get a fix on gaming urges at the Xbox Play Lounge offering up to 40 different games to play, or head to TrenchTown, our teens-only place offering foosball, air hockey, basketball, flat screen TV’s and more. The Scratch DJ Academy offers kids a chance to mix, blend and scratch music on vinyl, CD’s or even an iPod. In the evening teens can head to the Liquid Nightclub dance club with a cool South Beach vibe. 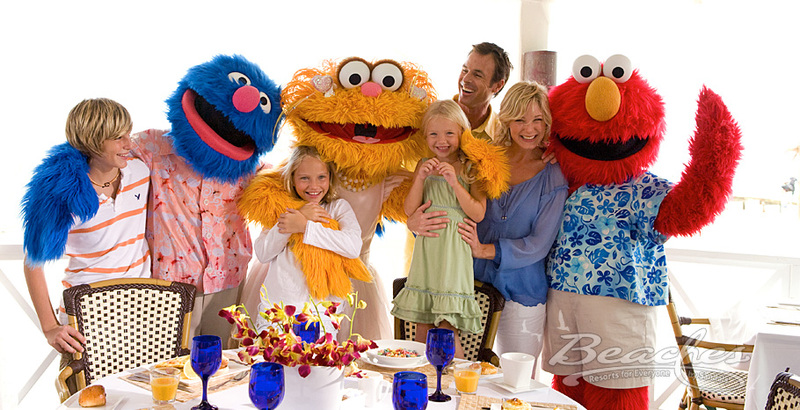 Beaches partnership with Sesame Street makes it the only Caribbean resort where the younger kids can play every day with the loveable, colorful and friendly cast of characters, to include Big Bird, Elmo, Cookie Monster, Oscar the Grouch, Zoe, Bert & Ernie and more! From parades and stage shows, to character breakfasts and nighttime tuck-ins, kids get their own vacation with their favorite Sesame Street characters. (character breakfast and nighttime tuck-in is an additional fee) Other activities include bird watching with Big Bird, Story time with Elmo, Rock N Roll dance party with Elmo and friends, super science fair with super Grover and more! Serene and tropical, with breathtaking vistas of a sparkling sea and intoxicating aromas of lush flowering gardens, all rooms and suites are elegantly designed to showcase the beauty of the islands. Floor-to-ceiling sliding glass doors and expansive balconies and patios invite the outside in, adding to the luxury of the rooms. 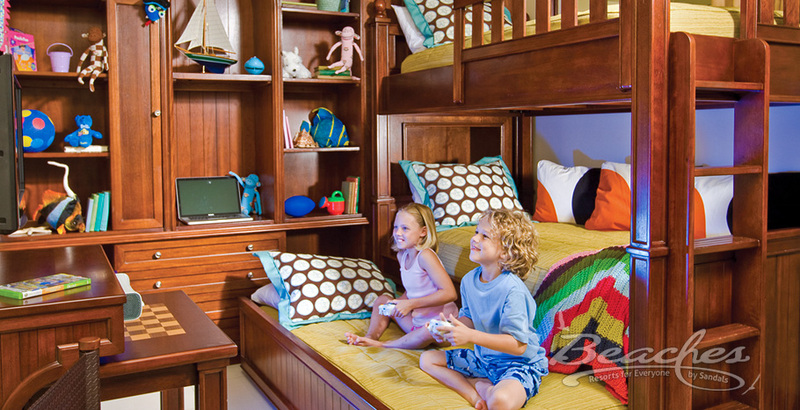 From sprawling beachfront family suites to expansive villas ideal for multigenerational travel, kids will love having their own room, many with built in bunk beds and Xbox games consoles and parents will love the spacious seating areas, balconies and lavish bathrooms. Interested in upgrading your room? 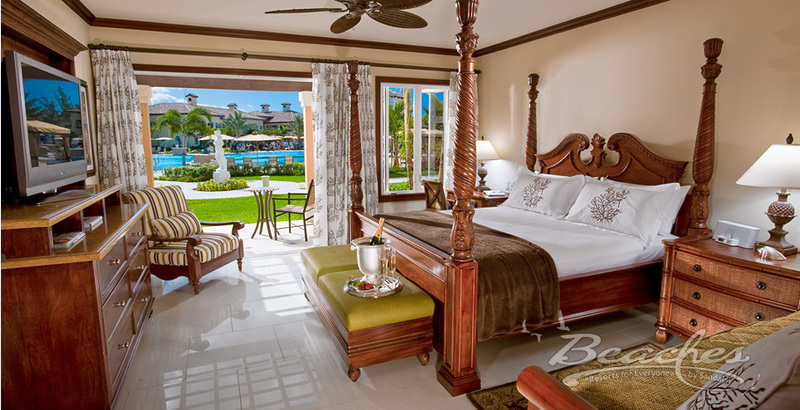 Request a Club Beaches room at your preferred destination. You will receive private check-in, Club Beaches lounge access, all day room servie from 7am – 10pm, In-suite bar stocked with Mondavi wine, spirits (Jamaican rum, vodka, whiskey), sodas, juices, and bottled waters, and members only activities and parties. Looking for the ultimate service? Reserve a butler elite room and experience the epitome of service. Butlers and Concierges are trained by the elite Guild of Professional English Butlers. They will handle your every need, to include private check-in in your suite, orchestrate in-room preferences upon arrival, offer to unpack your suitcase, provide you with a cell phone to reach him at any time, take room service orders for breakfast, lunch and dinner, handle your laundry and dry cleaning needs, draw a scented, flower-petal bubble bath, bring you snacks and beverages anywhere in the resort, reserve beachside and poolside chairs, re-stock in-suite bar with your preferred beverages, and more! How do you get the entire family together and keep them happy with plenty of activities for every age? You take them on a journey to a Beaches Resort! 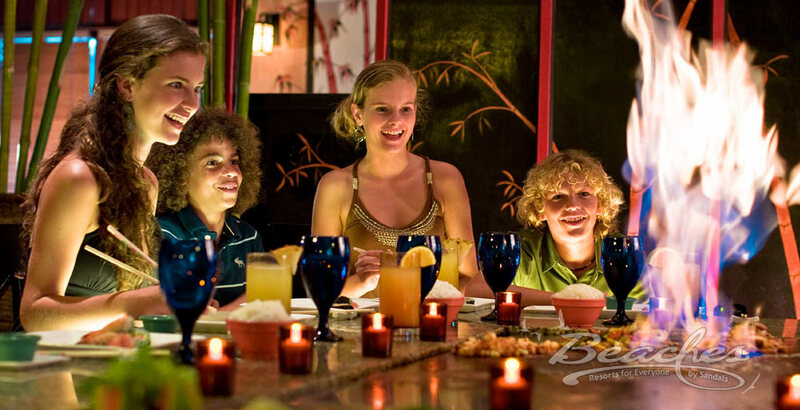 Call now for more information on the additional Family Reunion inclusions for booking 5 rooms or more.